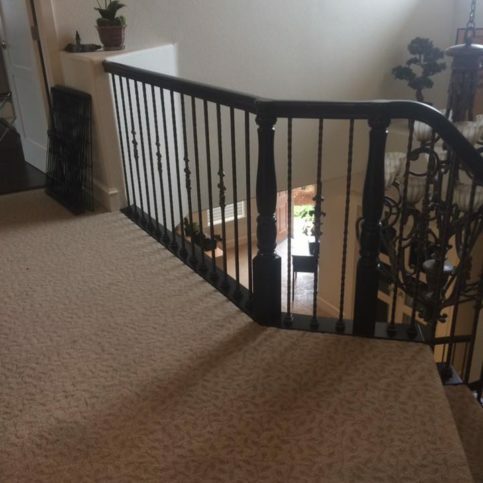 He's a quality stair building contractor. He knows what he's doing, and he is price conscientious. Taro is a talented guy. If what you're trying to get done is not exactly described on the plans, he can help you work it out. He does the work himself, and he's very particular. 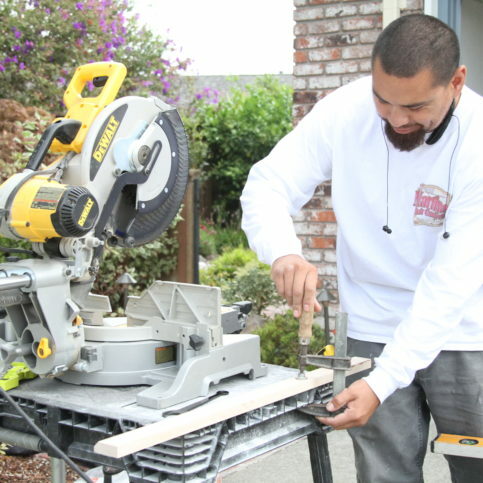 He is extremely reliable, very knowledgeable, and the prices are reasonable. He is very honest. The quality of his work is excellent. When he told us that he was going to come over for the estimate, he showed up when he said he would. We have not regretted having him do the work. He was great. He really knows his trade. He's very open, as far as answering questions. He's a good communicator. He does quality work, and he does it on schedule. He came in, got the work done, and was efficient. He was one of the few contractors I used that didn't give me any problems. He's a good guy. 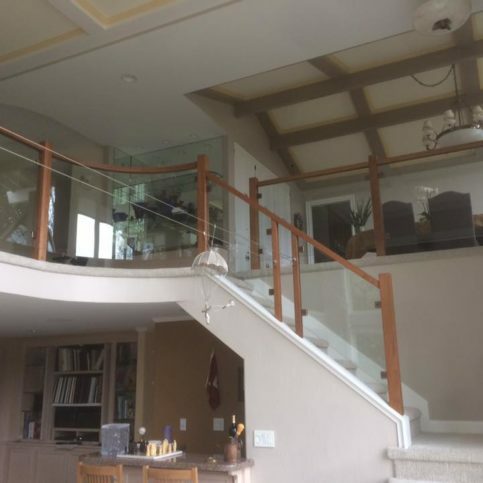 I really liked the quality of his work and his professionalism across the board as a contractor, which is rare to find. 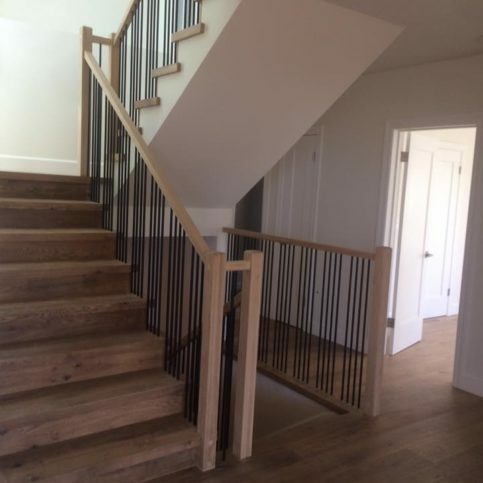 Martinez Stair Company Inc. designs and installs custom wood stairs and staircases, railings, and stair parts and accessories for residential and commercial clients in Contra Costa and Alameda Counties. 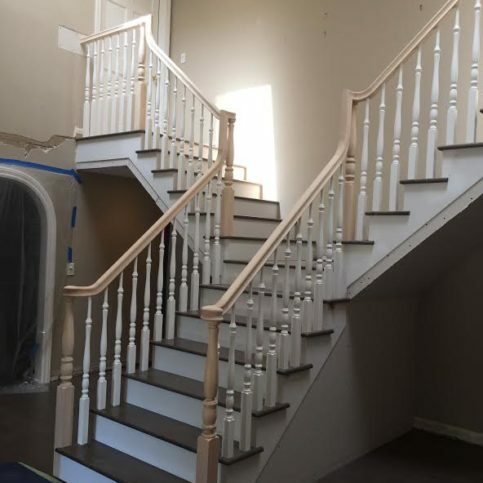 In addition to its comprehensive stair services, the company has the training and equipment to handle a variety of interior trim work, including crown moulding, baseboard installations and interior door replacement. 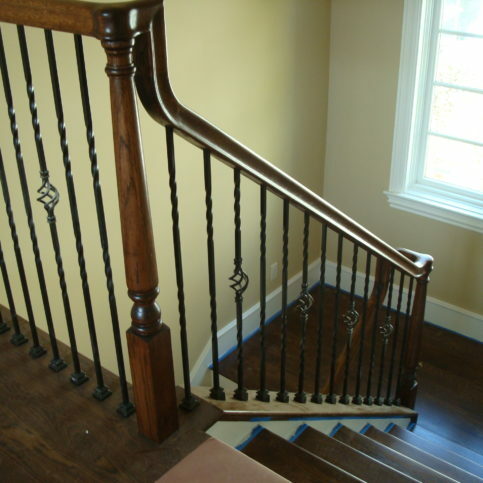 DIAMOND CERTIFIED RESEARCHED CAPABILITIES ON Martinez Stair Company Inc.
Company Name: Martinez Stair Company Inc.
DIAMOND CERTIFIED RESEARCHED ARTICLES ON Martinez Stair Company Inc.
Martinez Stair Company has been designing and installing wood stairs and staircases, railings, and stair parts and accessories for residential and commercial clients in Contra Costa and Alameda Counties since 2004. 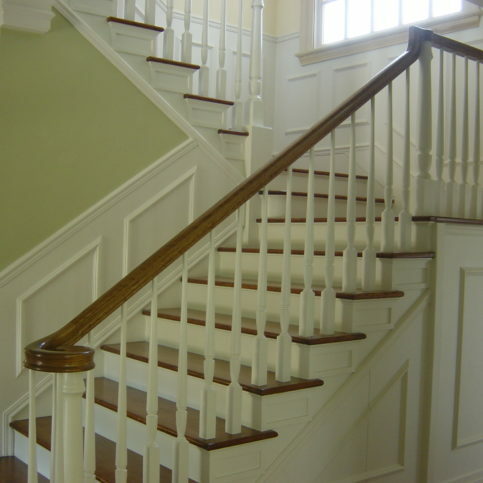 In addition to its wide-ranging stair services, the company is qualified to handle interior trim work like crown moulding, baseboard installations, door hanging and more. 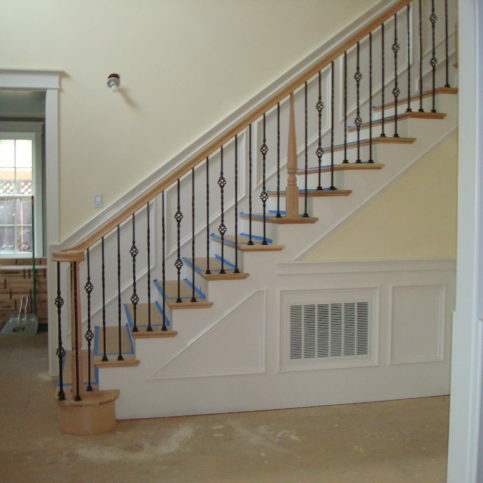 Staircase safety is a key component to keeping your family safe in your home. Consider the rise-to-run ratio. 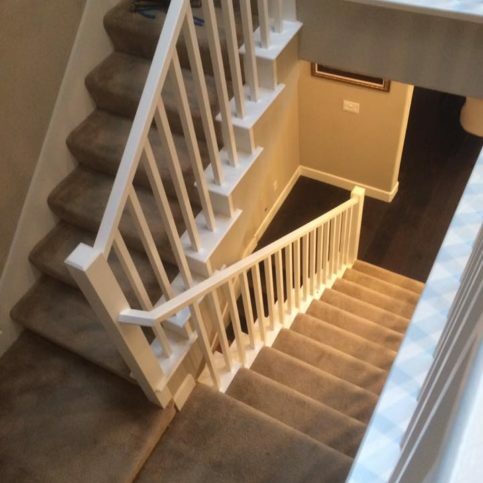 In order for stairs to feel comfortable and be safer, the total distance from the front to the back of the step and the vertical distance between steps should equal about 17 inches. 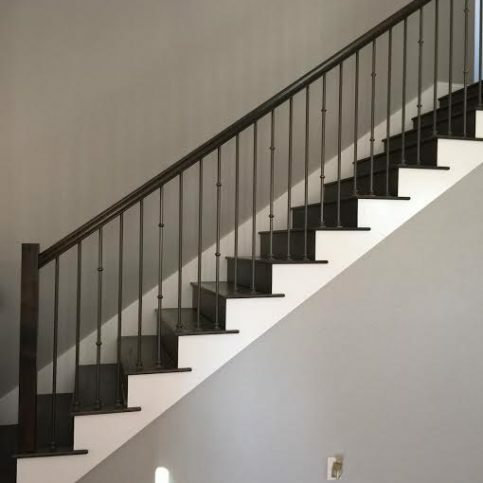 If step treads are narrower, the distance between the steps should be greater, and as stair treads get longer, the distance between steps should be shorter. However, the rise-to-run ratio should stay consistent from top to bottom no matter what. 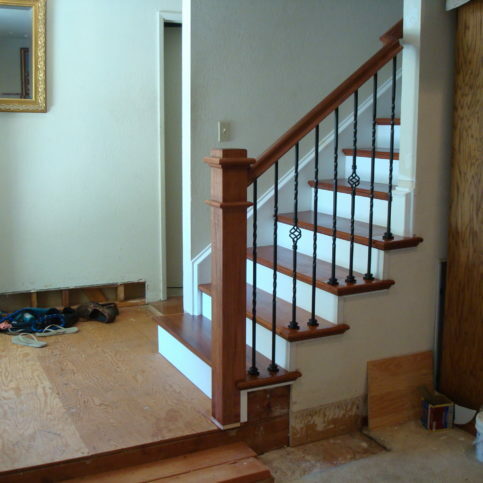 Uneven stairs can cause slips, trips and falls. 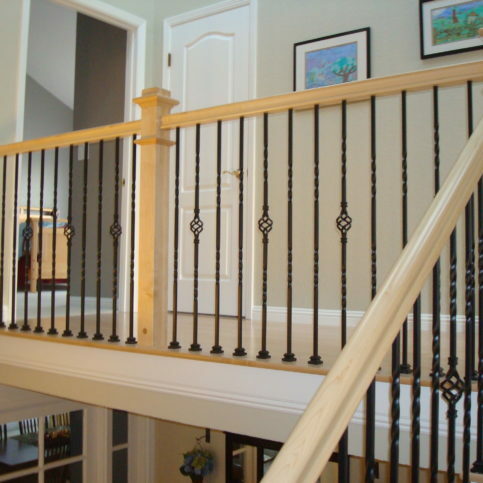 Revisit the banisters and balusters. 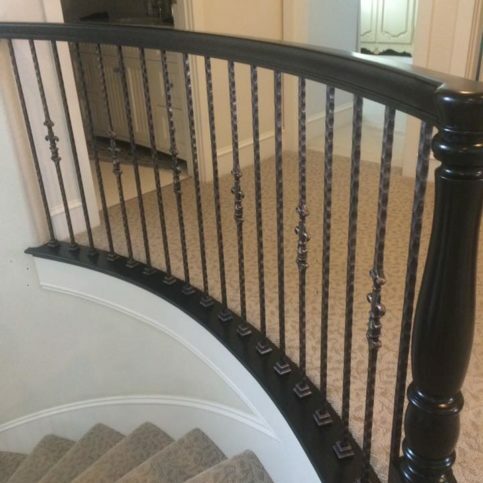 Banisters are the handrails on the sides of staircases, and balusters are the short columns that support the handrails and may add architectural detail to staircases. 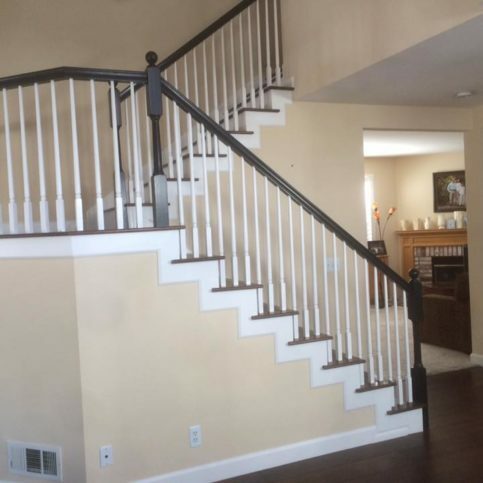 Depending on your home or business, your staircase may have one or two sides enclosed with a banister and may or may not have balusters. 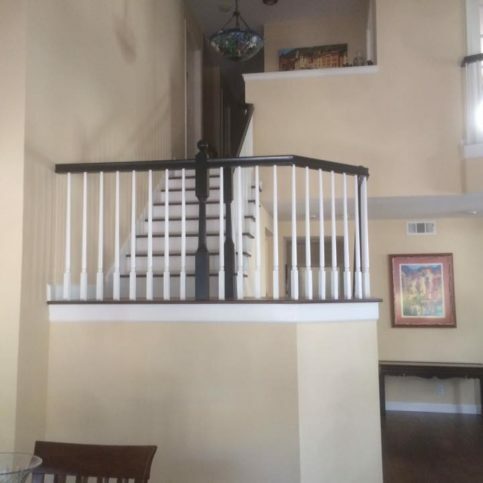 All banisters and handrails should meet building code requirements for height, distance between the wall and the rail, and distance between the baluster posts. 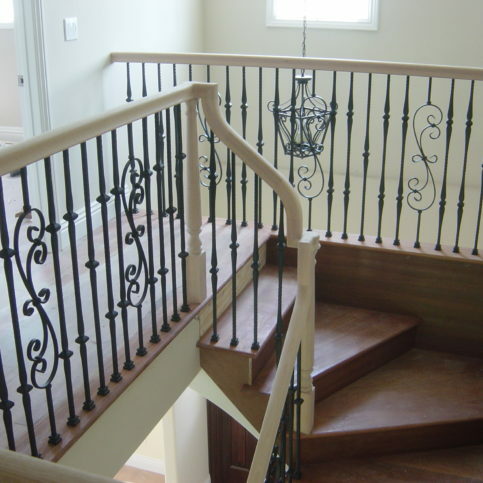 Loose, weak or missing banisters and balusters can be disasters waiting to happen and should be repaired or replaced immediately. 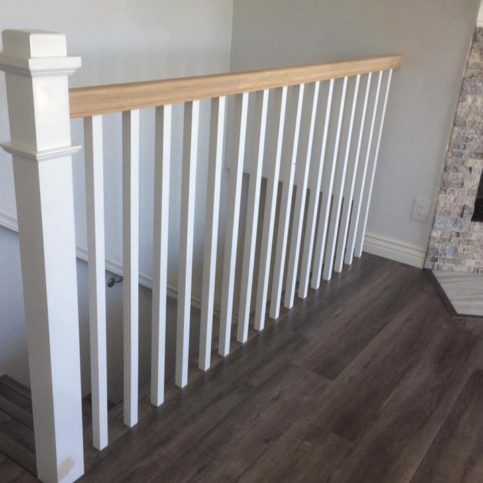 Individual baluster posts may vary in design (decorative or plain) and composition (wood or metal), but all of them should be safely anchored, and the space between them shouldn’t allow for children to get through the gaps. 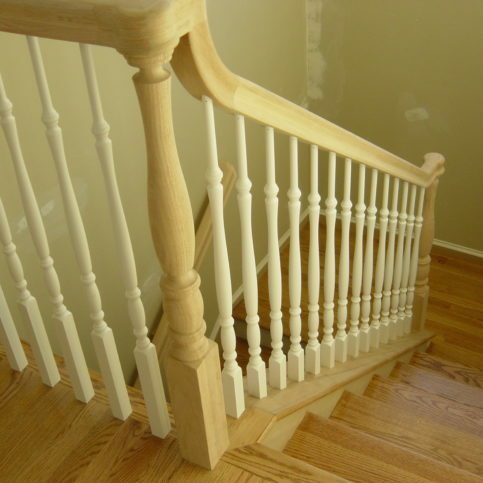 Spring for a new newel post. 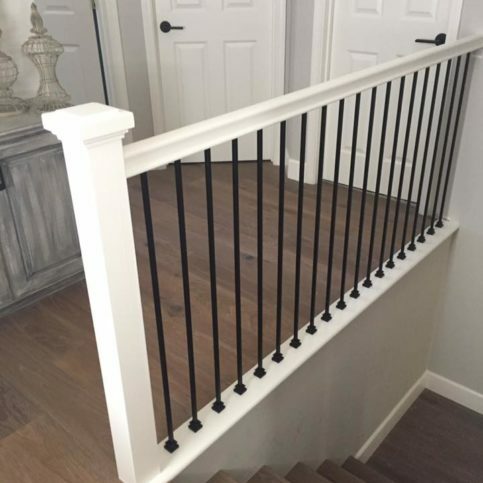 If your newel post (the anchored post at the top, bottom and possibly critical junctures of your stair rail) is wobbly or insecure, your entire handrail will be less safe. 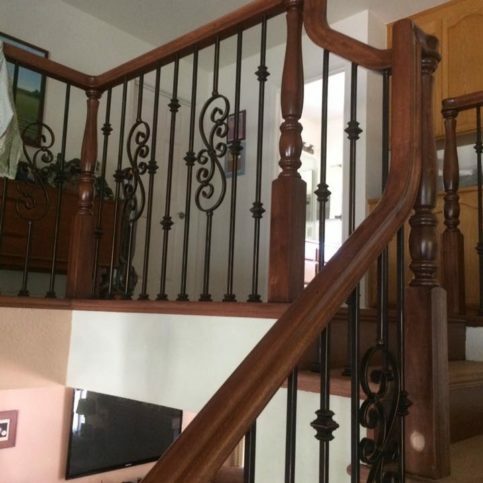 If your current newel post can’t be securely anchored to the floor or wall, get a new one that will prevent wobbling and movement. Q: Can you give me an estimate? 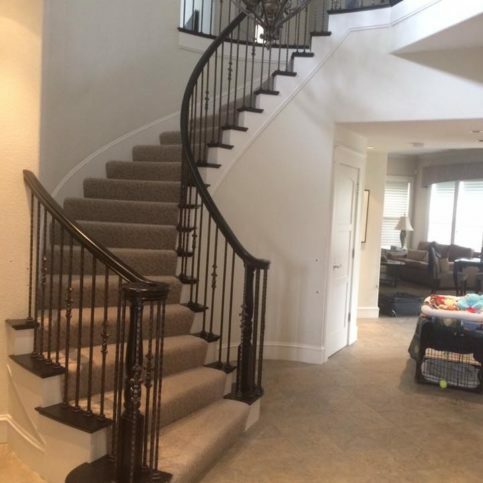 Q: Can I use my staircase while you’re working? 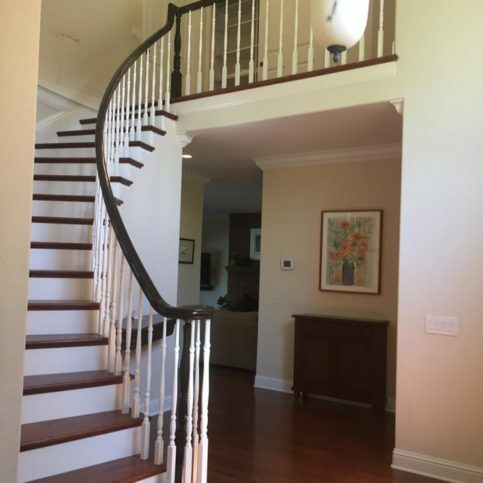 SELECTED PHOTOS FROM Martinez Stair Company Inc.
CONCORD — When replacing your staircase’s wood steps (also known as stair treads), you have a couple of options. 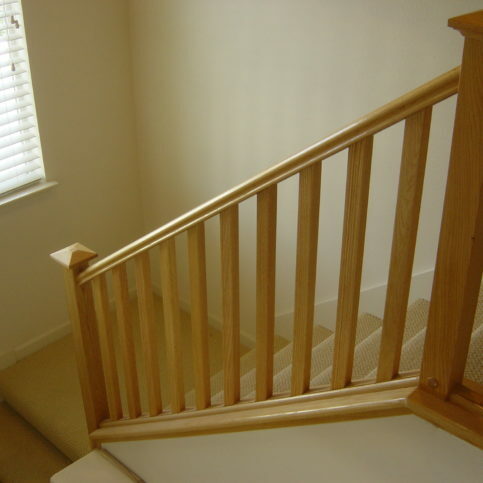 The first is to use pieces of solid wood. 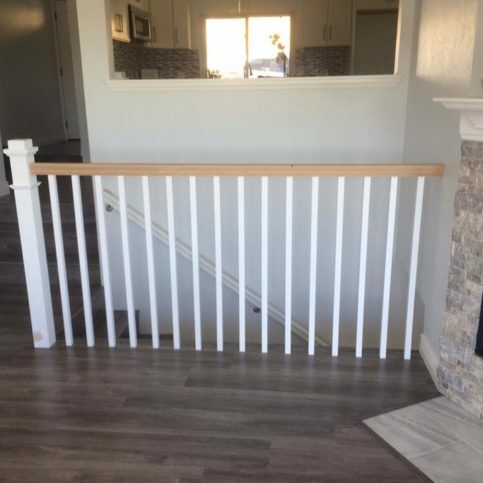 The biggest advantage of this option is these are strong, sturdy pieces of wood, so you won’t have to worry about them failing. 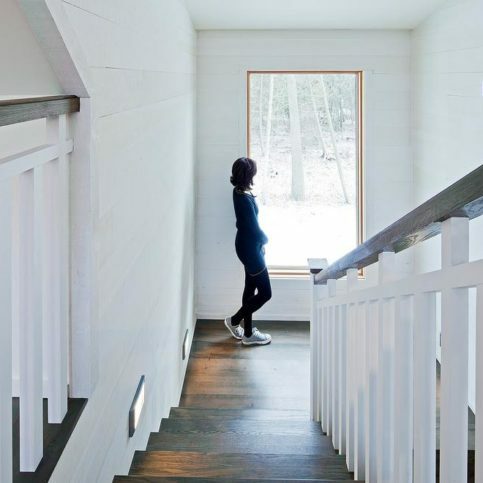 Additionally, solid wood doesn’t have any seams and can be finished to any color, which is great if you’re trying to match existing wood elements of your home. 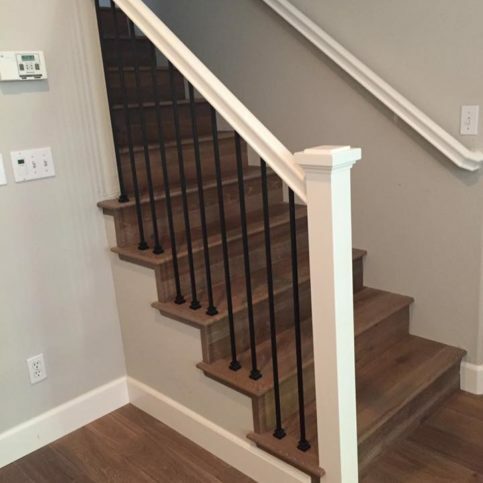 The other option is to create steps out of pieces of hardwood flooring; this is a good option if you want your stair treads to match your hardwood floors. 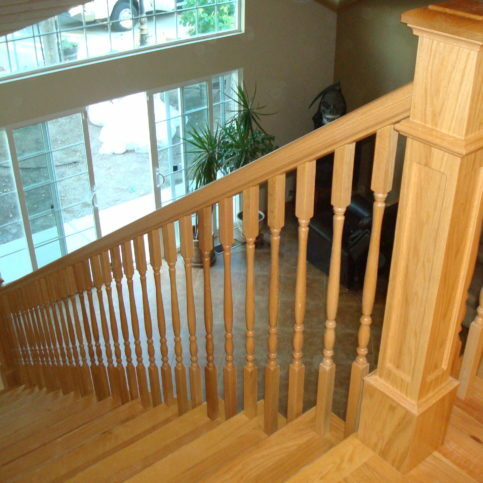 However, while all wood flooring is referred to as “hardwood,” some aren’t very hard, such as poplar and alder. 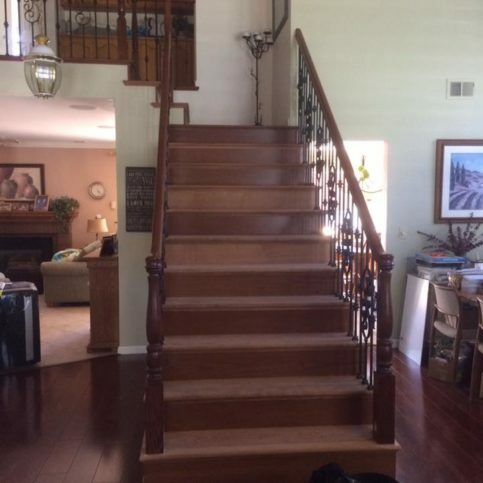 If you use a “soft” hardwood like this, your steps will be more susceptible to damage (such as dents and scratches) and premature failure. 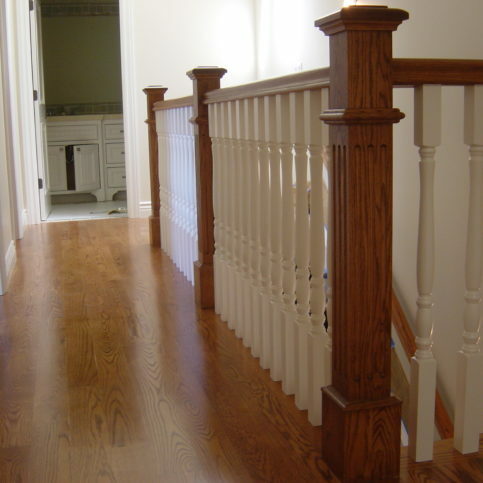 A better choice is to use a sturdy hardwood product like oak or maple, which will provide the hardness needed to withstand lots of foot traffic. 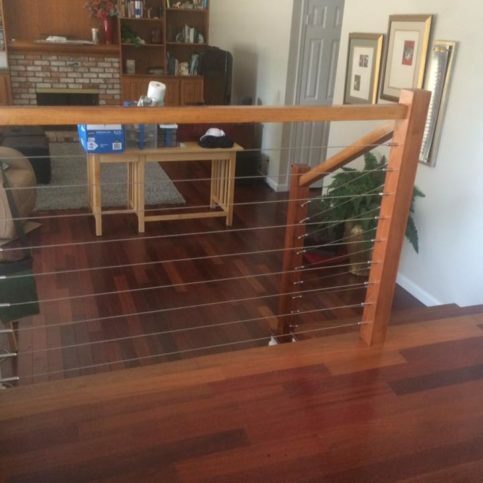 If you’re planning to go with this second option, consider using a prefinished hardwood flooring product. 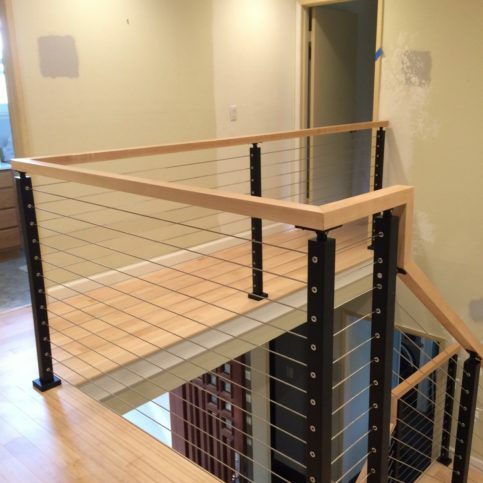 Today’s prefinished flooring goes through a curing process that makes it supremely resistant to surface damage. 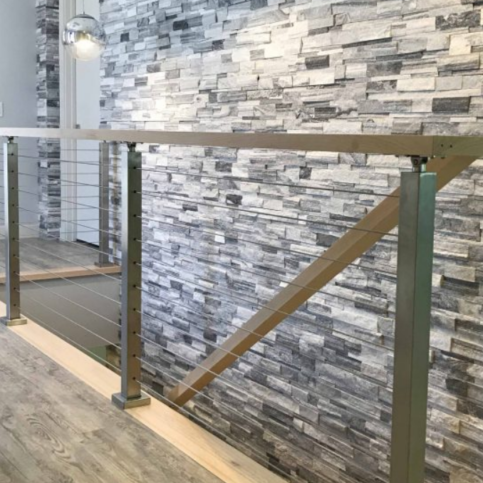 Additionally, since prefinished flooring is moisture-resistant, it doesn’t expand and contract like solid hardwood, which decreases the risk of your steps developing creaks. 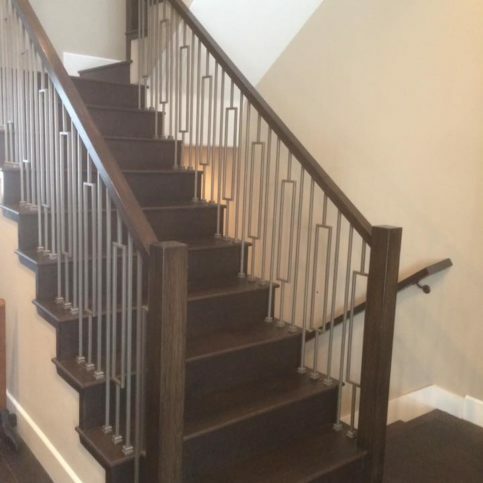 CONCORD — Host, Sarah Rutan: When selecting new steps for a staircase, you’ll want to make sure they’re built to last. Today we’re in Concord with Diamond Certified Expert Contributor Taro Martinez to learn more. 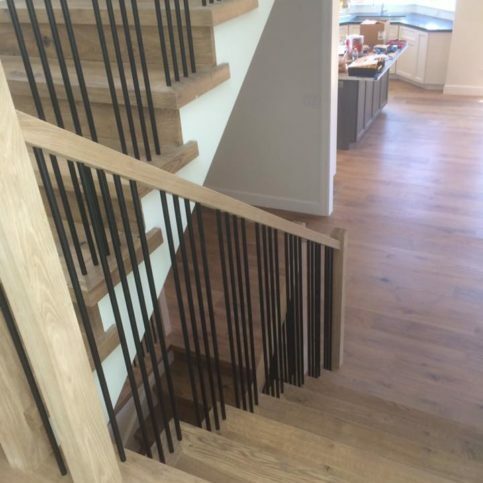 Diamond Certified Expert Contributor, Taro Martinez: For consideration when replacing your steps with hardwood is that there’s two ways to do it. 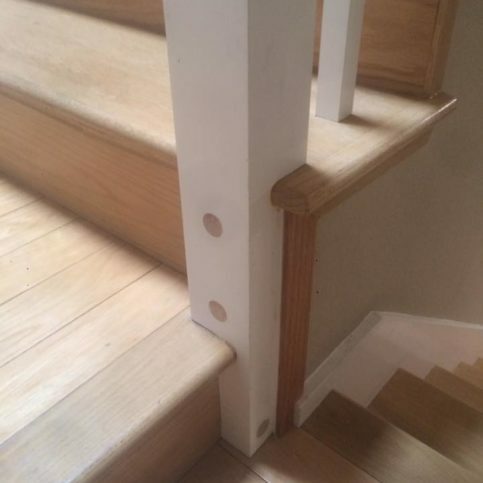 One way is to do a solid wood step. 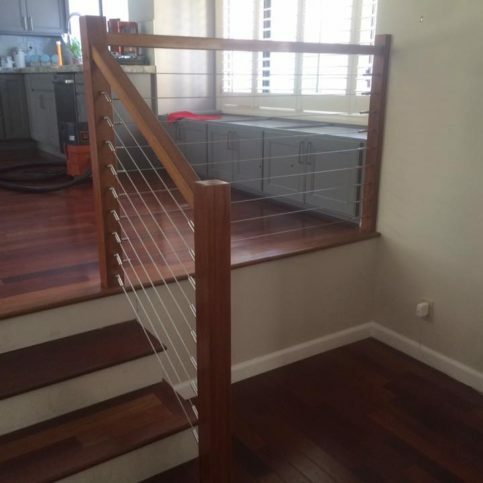 And the other way is to use hardwood flooring. 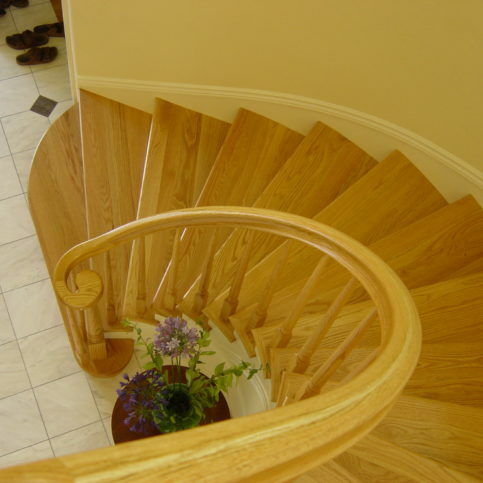 Some of the hardwoods are, although called “hardwoods,” are not so hard, examples being poplar and alder. Just something as simple as a high heel will put a big divot in them or put a scratch in them. 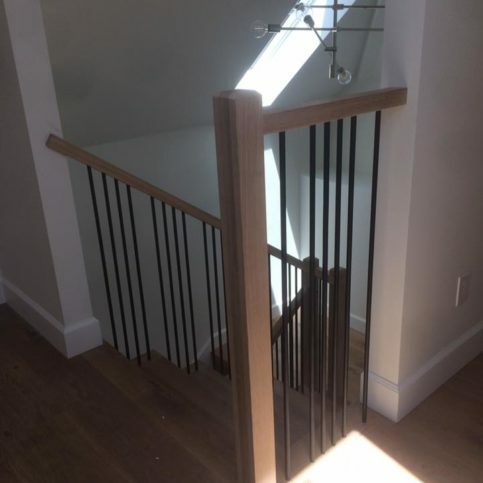 Whereas, using a prefinished step with the newer finishes, the iron oxides and the UV-cured flooring, make them basically bulletproof. 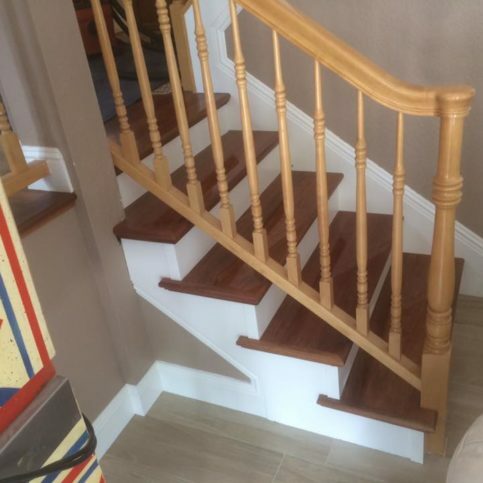 The advantages of doing a solid wood step is that it is a solid wood step without seams in it and can be finished basically to any color that you like, especially if you’re trying to match things. 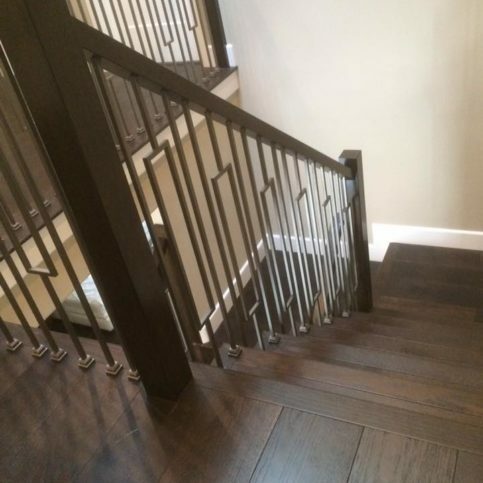 Diamond Certified RATINGS ON Martinez Stair Company Inc.
Martinez Stair Company Inc. : Average 9.5 out of 10 based on 68 unique customer surveys of customer satisfaction. They do high quality work and they are reliable. They come through time and time again. They have done really good work, really skilled guys. The work they do, is beautiful. He is a real professional, quality man, and he does great work. He gets in and gets out. 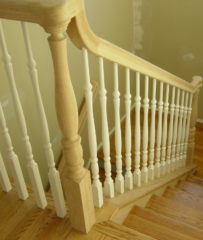 He is one of the best in the business, Im a general contractor and he is the only person I go to for stairs and rails. 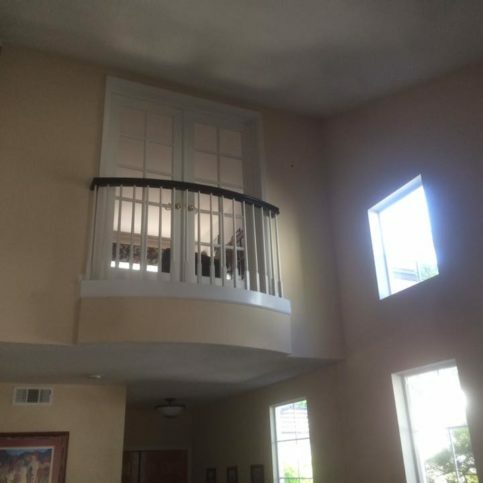 They were quick at getting the job done and did a good job. That they will evaluate your project, and come up with a recommendation that meets your budget. Just what I said, plus the flexibility was great. Taro came over and gave the initial estimate. We told him it was outside of our price range. 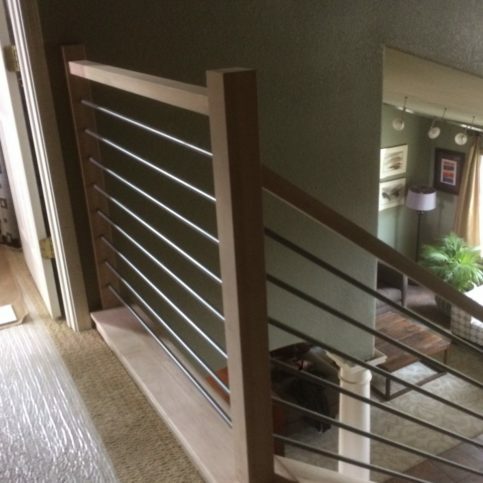 He was able to re-evaluate the bid and was able to meet our budget by doing some of the work in his own shop. They were very good and I highly recommend them. 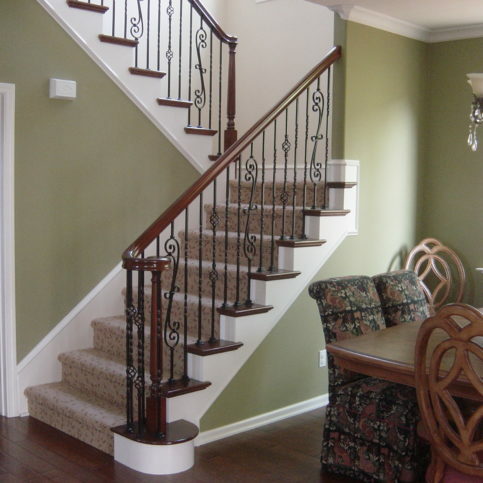 They have a good product and good service and reasonable pricing. He does perfect work, he knows what he was doing, and his prices are right. 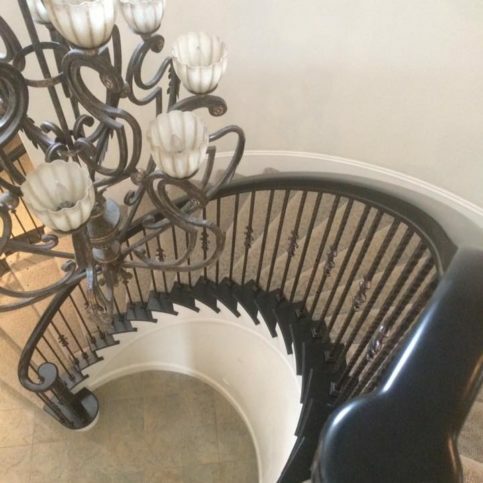 Attention to detail, and he and his worker did beautiful work. He is a meticulous artisan. Taro is not easy to book because he is very busy, but when he is there with you, he is exclusively yours and he completes the work that he promised and then he moves on. I find that for an extraordinary, you just have to roll with how busy he is. He starts at 7:30 in the morning and he starts on time and he is predictable and you know that he will be there. He was helpful and creative. 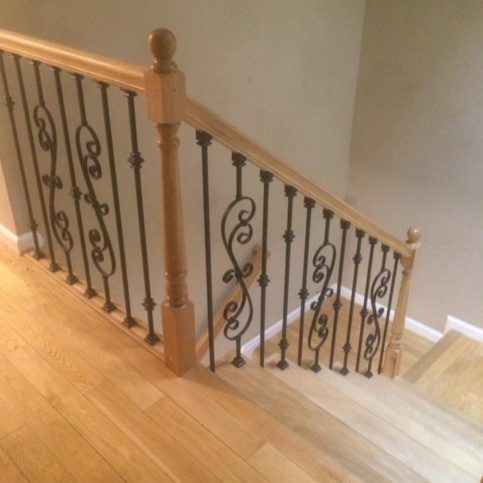 That he was very on time and he did quality work, and he had a good price. 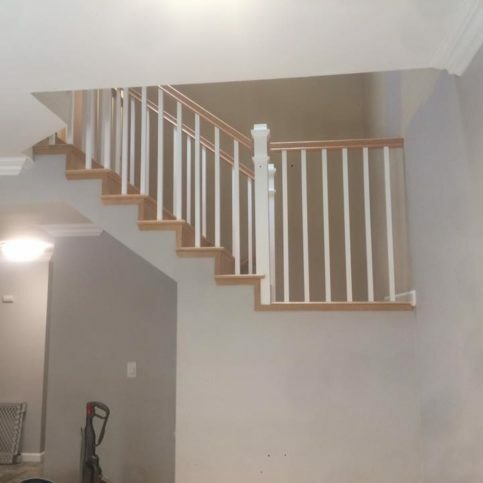 I just had him do the one job for me, but he did a great job and he was timely and the price was good. He was timely and when he told me he was going to be there, he was there and he finished on time and he had good communication. He is really good at it and he solves problems. He was reliable and it was not an easy job, but he worked through it and got it done. 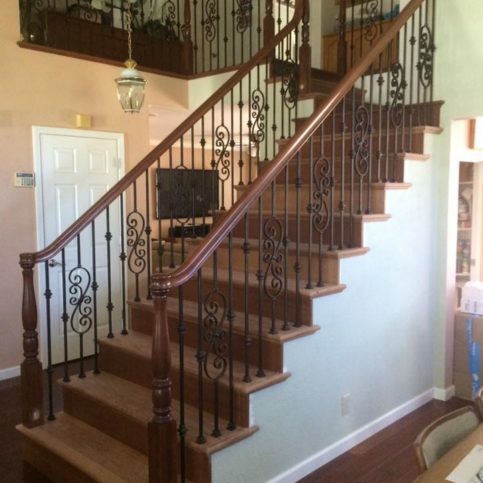 That he has excellent customer service, and the end product is beautiful. He was very consultative in his approach and his recommendations. He knew what I wanted and what I wanted wasn't right and he was able to explain that to me. He is very professional, very timely, he always keeps his appointments, and he follows through very well. He has high quality products. He is very personable and very professional.